/ins.This year’s winner of the international Swedish Steel Prize is Kiruna Wagon from Sweden. The prize is awarded for the company’s innovative wagon solution, the Helix Dumper. 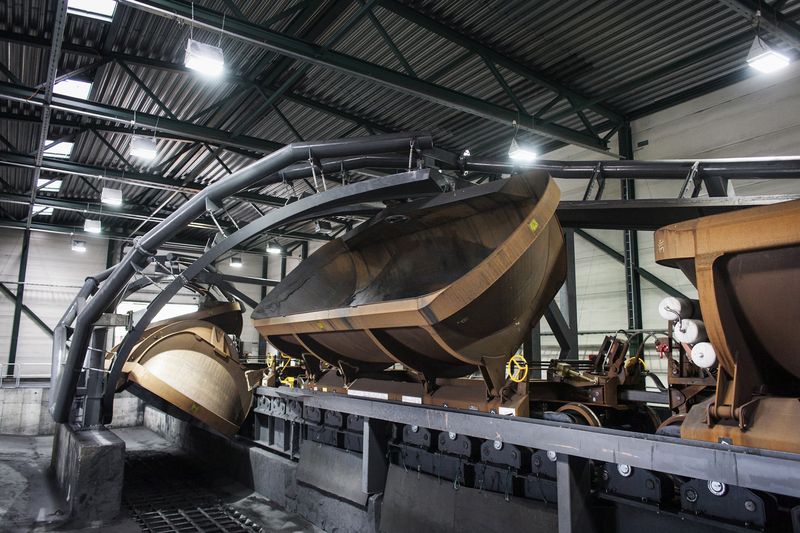 Kiruna Wagon has used high-strength steel to develop a highly durable and far more efficient wagon solution than other ore wagons on the market. “Kiruna Wagon has successfully updated a good idea and used high-strength steels to turn it into a brand new, superior wagon solution,” says Eva Petursson, Chairman of the Swedish Steel Prize jury and head of SSAB’s Strategic R&D. Kiruna Wagon’s Helix Dumper is a dumper wagon system for long-haul rail transport and efficient unloading of minerals. Use of advanced high-strength structural and wear-resistant steels made it possible to design lightweight wagons combined with a stationary Helix terminal for on-the-fly rotary unloading. The ingenious solution has an unloading speed of 25,000 tons per hour, which is twice that of other systems. For the final design, both Strenx structural steel and Hardox wear-resistant steel were used in the wagon solution. When comparing with other systems, a complete unloading system for the Helix costs 1/7th of what a rotational wagon costs. Furthermore, the Helix uses parts of the potential energy of the ore to push the wagon forward as it unloads. This means no extra energy is required and there is much less dust with almost no noise. 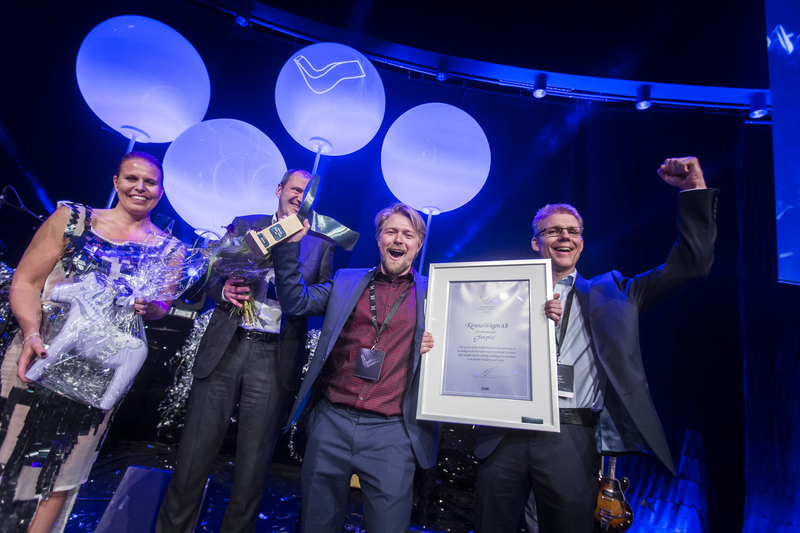 The Swedish Steel Prize is now awarded for the 18th time, and the winner will receive a statuette by the sculptor Jörg Jeschke and a cash prize of SEK 100,000. The other finalists, Fermel from South Africa, JMG Cranes from Italy and Wabash National from the USA, were runners-up in the Swedish Steel Prize 2017. Read more about the Swedish Steel Prize on www.steelprize.com.